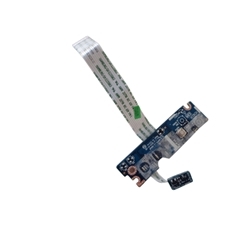 Description: New Acer discrete power board with cable. There are 2 different boards for the laptop models listed. Please check the part #'s to make sure that you are ordering the correct board. Part #'s: 55.R5202.001, NEW70POWER, LS-5893P, NBX0000NG00. Acer Aspire 5252, 5552, 5552G, 5742, 5742G, 5742Z, 5742ZG.